Somewhere around mid October, life becomes a crazy mishmash of work and holiday deadlines. Keeping up with Halloween, Day of the Dead, Thanksgiving, Hanukah, Christmas, Kwanzaa and New Years makes even the most prepared and most organized Working Girl dizzy. That’s why you need to have your arsenal of effortless outfits and shoes within arm’s reach so you don’t have to worry about that aspect of your world. 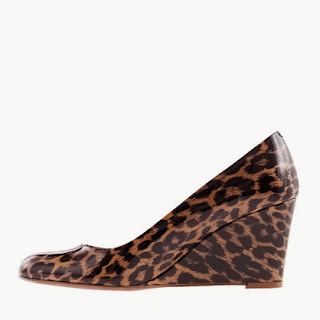 One of my “go-to” saviors are the fabulous J. Crew’s patent leopard Martina wedges. I really can’t say enough great things about this delicious pair of shoes. They have a really outstanding finish. 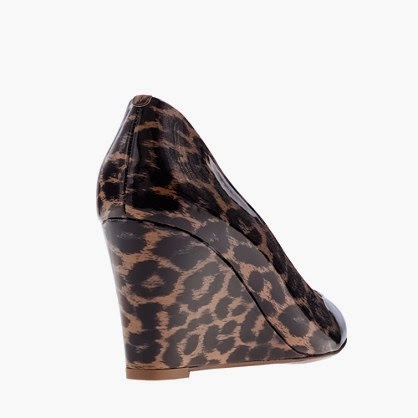 The patent leather on these wedges are quite possibly the best I’ve ever had. The amount of bumps and scraps that I’ve put these poor shoes through in the four months I’ve had them has yet to show. 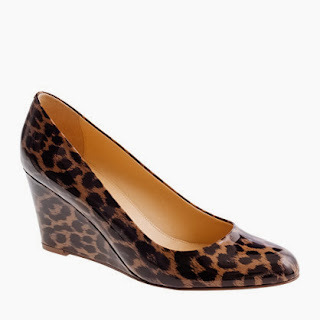 It could be the combination of the darker leopard print and the thick high quality of the patent that helps. But seriously, my eternal hesitation of buying more J. Crew shoes due to their higher price ranges is taking a segway into thinking about having more in the Shoe Closet. You are really paying for this higher quality. They have a 3” heel that is made more wearable because over time the leather softens and feels like butter the more you wear them. They were somewhat stiff when I first got them but they have softened inside without losing the structure that keeps them dressy. Adding the fact that you get the stability of a flat sole in this shoe truly makes them a superb choice for seemingly endless weeks of holiday mad dashing. The almond toe and added height help to elongate your silhouette by vertically increasing your height and simultaneously lengthening your legs. 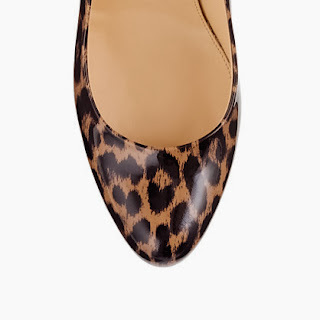 The leopard print is actually a great neutral for all your festive outfits. 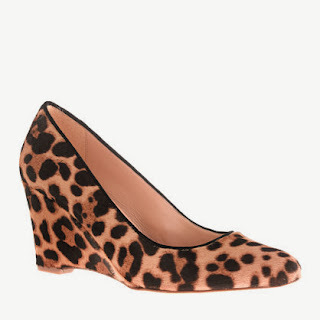 These fit the role of a great accessory where shoes truly heighten your level of outfit chicness. The Martina really pulls your outfit together. These. Shoes. I love everything about them! Thanks so much for stopping by my blog and for your nice comment! I love your blog too!! Amazing shoes!